8,293 – 133,677 Ft2 Approx. 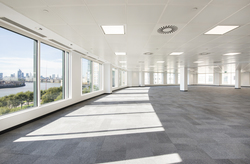 Highly specified offices on the riverfront, located on the Western gateway to the Canary Wharf estate. 2,293 – 130,880 Ft2 Approx. 1,000 – 101,100 Ft2 Approx. Fully fitted bespoke office space for rent in the heart of Hammersmith. New leases & licenses from 12 months +. 586 – 84,222 Ft2 Approx. 7,543 – 82,499 Ft2 Approx. New contemporary workspaces moments from Bank, Cannon Street, Monument and London Bridge stations. 1,678 – 77,382 Ft2 Approx. 1,533 – 63,161 Ft2 Approx. Short term office space available to December 2020. 1,000 – 61,000 Ft2 Approx. 928 – 60,001 Ft2 Approx. 0 – 59,478 Ft2 Approx. 1,615 – 57,525 Ft2 Approx. 9,522 – 51,753 Ft2 Approx. 22,000 – 44,574 Ft2 Approx. Fitted space to let on flexible terms in a prominent Fitzrovia building. 1,098 – 39,008 Ft2 Approx. 39,008 sq ft (3,624 sq m) of modern workspace in Covent Garden. 16,325 – 36,267 Ft2 Approx. 3,659 – 31,351 Ft2 Approx. 6,124 – 27,323 Ft2 Approx. 5,342 – 25,434 Ft2 Approx. 4,930 – 25,005 Ft2 Approx. 1,582 – 24,326 Ft2 Approx. 11,239 – 22,829 Ft2 Approx. 22,829 sq ft of Grade A space available in Covent Garden. 1,000 – 21,000 Ft2 Approx. Fully fitted bespoke office space for rent in the heart of Fitzrovia New leases & licenses from 12 months +. 5,730 – 19,117 Ft2 Approx. 5,437 – 18,130 Ft2 Approx. Sensational redevelopment of this former warehouse property in the heart of Old Street. 18,130 Ft² available for rent. 8,708 – 17,486 Ft2 Approx. 409 – 17,258 Ft2 Approx. 3,855 – 16,815 Ft2 Approx. High quality Grade A offices less than one minute walk from Bank station. 2,997 – 15,802 Ft2 Approx. 2,223 – 15,560 Ft2 Approx. Newly refurbished creative office space available within this Grade II Listed, purpose-built Victorian riverside warehouse. 1,000 – 15,000 Ft2 Approx. Fully fitted bespoke office space for rent in the heart of Bloomsbury New leases & licenses from 12 months +. 237 – 13,648 Ft2 Approx. 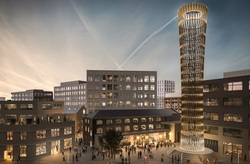 13,649 sq ft of new grade A office space in one of the most unique buildings in the heart of Kings Cross. 1,152 – 13,326 Ft2 Approx. 1,424 – 13,034 Ft2 Approx. 1,292 – 12,999 Ft2 Approx. 1,612 – 12,405 Ft2 Approx. Fitted out headquarters building or office floors for rent. 2,915 – 11,943 Ft2 Approx. New Grade-A Offices with private 5th floor roof terrace and shared 6th floor roof garden. Penthouse Duplex with Terraces available for rent next to Farringdon Station. 11,458 sq ft of self-contained stand out new office space in the heart of colourful Clerkenwell. 2,024 – 11,369 Ft2 Approx. 1,609 – 11,306 Ft2 Approx. Fully fitted office in the heart of the City. 4,138 – 10,279 Ft2 Approx. Newly refurbished media style office spaces for rent in close proximity to Old Street Roundabout and Whitecross Street Market. 4,421 – 10,180 Ft2 Approx. 2,976 – 10,103 Ft2 Approx. 61,381 sq ft of Grade A office accommodation in a prime St James's location. 1,065 – 9,940 Ft2 Approx. A FULLY FITTED, GRADE A OFFICE BUILDING TO LET WITHIN THE HEART OF MIDTOWN. 392 – 9,350 Ft2 Approx. 3,368 – 9,320 Ft2 Approx. 1,350 – 9,174 Ft2 Approx. 2,055 – 8,829 Ft2 Approx. 2,600 – 8,600 Ft2 Approx. 1,053 – 8,531 Ft2 Approx. 1,000 – 8,500 Ft2 Approx. Fully fitted bespoke office space for rent in the heart of Marylebone. New leases & licenses from 12 months +. A fully fitted "Plug & Play" office with incredible views of the O2 Arena and the River Thames, only a minute walk from South Quay Station. 2,653 – 8,429 Ft2 Approx. 862 – 8,253 Ft2 Approx. 377 – 8,072 Ft2 Approx. 431 – 7,994 Ft2 Approx. 1,878 – 7,716 Ft2 Approx. 1,840 – 7,270 Ft2 Approx. 2,340 – 7,109 Ft2 Approx. 2,845 – 7,012 Ft2 Approx. Newly fitted space with meeting rooms. 2,358 – 7,001 Ft2 Approx. 1,949 – 6,975 Ft2 Approx. 1,285 – 6,783 Ft2 Approx. Unique warehouse style office suites for rent within a former Victorian Brewery in the heart of Notting Dale. A superb refurbished floor in the heart of the City, moments from Bank Station. Brand newly refurbished self-contained office space for rent in the heart of Shoreditch. 1,789 – 6,113 Ft2 Approx. Fully fitted Cat A+ office suite on the part 3rd floor of the brand new One Dean Street. Self-contained office building available for rent located moments from Angel station. 2,960 – 5,985 Ft2 Approx. A new grade-A refubished building in a prominent Soho Location. 1,079 – 5,652 Ft2 Approx. 2,767 – 5,621 Ft2 Approx. 2,430 – 5,375 Ft2 Approx. 5,337 sq ft office floor with quality fit-out available on assignment or sublease. 1,243 – 5,222 Ft2 Approx. 495 – 5,207 Ft2 Approx. Prime Flagship Soho Restaurant or Retail opportunity To Let. Fully fitted 'Plug and Play' space in the heart of the City. Fully fitted ‘Plug and Play’ space in the heart of the City with incredible views. Prime Fitzrovia Restaurant opportunity in Beautiful Conversion. Fully fitted office floor available for rent by way of a sublease for a term to expire on June 24th 2020. 1,098 – 4,736 Ft2 Approx. 2,077 – 4,715 Ft2 Approx. A SHORT TERM OPPORTUNITY LOCATED IN ONE OF LONDON'S MOST CELEBRATED DINING, CULTURAL AND FASHION DESTINATIONS. 4,440 sq ft f newly refurbished office accommodation situated within the heart of Mayfair. 4,400 sq ft of fully fitted space close to Victoria Station. 2,127 – 4,258 Ft2 Approx. Comprehensively refurbished office space. Seven Dials style. 735 – 3,869 Ft2 Approx. A3 RESTAURANT OPPORTUNITY IN BLOOMSBURY, WITHIN CLOSE PROXIMITY TO RUSSEL SQUARE . 1,755 – 3,679 Ft2 Approx. AN EXCITING DOUBLE FRONTED RETAIL OPPORTUNITY AVAILABLE ON KENSINGTON HIGH STREET. 3,550 sq ft of Grade A warehouse-style offices. 1,020 – 3,548 Ft2 Approx. 1,733 – 3,481 Ft2 Approx. 623 – 3,454 Ft2 Approx. 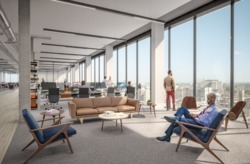 Refurbished offices with views over Regent Street. 589 – 3,287 Ft2 Approx. Fully fitted media style office space for rent within this 1960’s office block situated the heart of Clerkenwell. Newly refurbished third floor offices. A fully fitted office with views of the River Thames, only a minute walk from South Quay station. Rare opportunity to lease this partially fitted loft space within this architecturally designed building in the heart of Farringdon. 1,449 – 2,945 Ft2 Approx. 546 – 2,918 Ft2 Approx. Partially fitted office floor available for rent only a moments’ walk from Old Street & Angel stations. Affordable office space for rent located within close proximity to King’s Cross. The premises benefits from dedicated onsite parking. 740 – 2,689 Ft2 Approx. 873 – 2,683 Ft2 Approx. Fully refurbished office space available for rent in the heart of Tech City which lies within the ‘Shoreditch Triangle’. 2,485 sq. ft. of fully fitted office space available on a sub-lease in Clerkenwell. 636 – 2,472 Ft2 Approx. Characterful self-contained office building available to rent located moments from Aldgate & Aldgate East station. A FLAGSHIP RETAIL OPPORTUNITY LOCATED IN THE HEART OF NORTH MAYFAIR. Rarely available Restaurant unit to let on Clapham Common. PRIME RETAIL UNIT AVAILABLE IN SOHO, BENEFITING FROM A 30FT FRONTAGE ON BERWICK STREET. 667 – 2,095 Ft2 Approx. A new destination merging the boundaries of Victoria and Belgravia. Plug and play’ office suite available on the part 3rd floor. RETAIL SHOP TO LET WITHIN CLOSE PROXIMITY TO MARBLE ARCH AND EDGWARE ROAD TUBE STATION. 923 – 1,929 Ft2 Approx. Plug & play media style office floor available opposite Farringdon (Crossrail) & Chancery Lane stations. 161 – 1,585 Ft2 Approx. Short term plug & play media style office space available for rent until October 2020 located moments from Farringdon station. Fantastic newly redecorated 3rd floor office space available for rent in the heart of Clerkenwell. 281 – 1,485 Ft2 Approx. Newly developed office floors available for rent in the heart of Whitechapel, located moments from Aldgate East station and Brick Lane. 654 – 1,404 Ft2 Approx. Self-contained Ground & Lower Floor Office / Showroom space available for rent. 638 – 1,319 Ft2 Approx. 570 – 1,238 Ft2 Approx. Situated in the heart of Mayfair, this stunning modern office space has been designed to maximise the natural light and airiness. A newly refurbished office suite within The Portman Estate. RETAIL OPPORTUNITY LOCATED MOMENTS AWAY FROM SLOANE SQUARE, NESTLED IN AN AFFLUENT RESIDENTIAL AREA OF SOUTH BELGRAVIA. A1 LEASE FOR SALE WITHIN CLOSE PROXIMITY TO CAMDEN TOWN TUBE STATION AND CAMDEN MARKET. AN EXCITING RETAIL OPPORTUNITY AVAILABLE IN THE THRIVING URBAN VILLAGE OF BELGRAVIA. RETAIL UNIT AVAILABLE TO LET IN BELGRAVIA. A1 RETAIL OPPORTUNITY LOCATED IN THE OF HEART SOHO ON PETER STREET. A fully fitted quirky office space less than a minute walk from Barbican Underground station. Economical first floor office suite. A1 RETAIL OPPORTUNITY LOCATED IN THE OF HEART SOHO ON BERWICK STREET. A characterful office space benefiting from good natural light and period features behind an elegant Georgian facade. 556 sq.ft. period office space available on a new lease for a term until March 2022. Newly refurbished, single office floor in the heart of Carnaby, offering bright and flexible open plan space. Flexible fitted office floor with excellent natural light available for rent. 2,232 sq.ft. of fully fitted office space available on a sub-lease or assignment in Victoria.